Do you know that everyone can channel? You are channeling when you align with your true self and express your true self in your physical life. To realize your true genius tap into your true essence and funnel aspects of that essence into your life. Many have done so including talented actors, musicians, artists and also great inventors, scientists and spiritual leaders. They are so alive and present. Their lights shine through as they share unique gifts and talents. Through love and practice you discover how to tap into yourself, your guides, your angels, and the multi-dimensional universe. You are channeling when you shine your light doing what you love the most. Channeling happens when you pursue what you love most and immerse yourself completely with the skills require to make your imagination a reality. This together with your ultimate passion felt deeply in your heart allows you to totally let go and allow your true self to shine through. 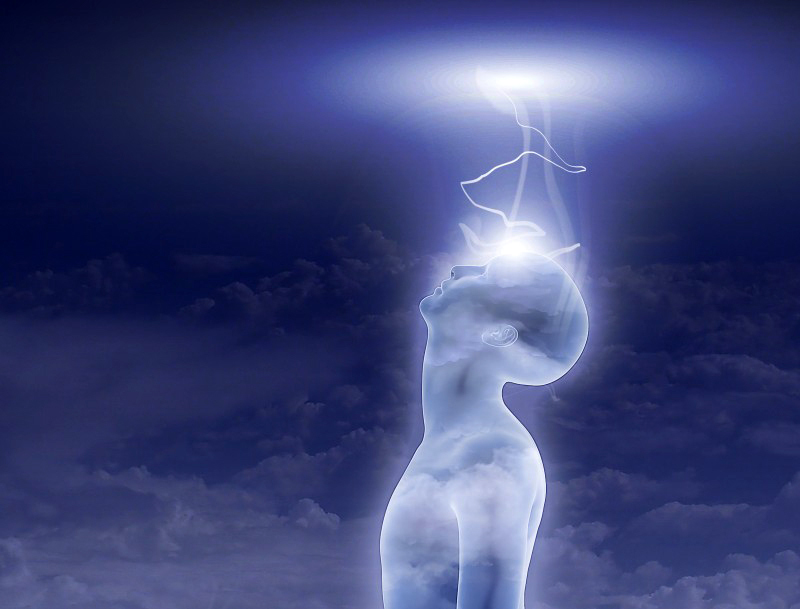 When you are channeling you go into an altered state of consciousness or trance state. You enter a light trance whilst engaging in many day to day activities like driving, listening or dancing to entrancing music, playing a computer game, or watching an engaging sports game on TV. Time passes quickly and if you try to speak to someone playing a game or watching TV, they may not notice that you are talking to them. Trance channeling is also used in psychotherapy and hypnotherapy. You also enter a light trance state when meditating. Everything is frequency. When you channel information it is like plugging into a vast cosmic switchboard or like tuning a radio to get a reliable signal. Each frequency resonates at a different tuning of information that connects with colours, chakras, tones and information. Becoming receptive to higher frequencies and discerning the source and quality of information is like a muscle that can be trained and honed. All channeled information ultimately comes from one source. The information is the same, passed down through the ages as biblical or prophecy and today referred to as metaphysics, New Age, or a religion. Also, music, design, art, dance and acting, are all right brain activities and most likely viewed as channeled. In general there are three states of altered consciousness or entrancement. These are light, moderate, and deep trances. A light trance is when you connect with a higher energy or invite energy into your space whilst remaining fully conscious. It is easily reached in meditation or by stepping aside and letting the higher energy work through you. For example, by dropping into your heart and letting your healing guides work through you when facilitating Star Magic healing. This type of altered state is ideal for channeling creative ideas in the arts, music, writing, and sciences. Undoubtedly geniuses like Leonardo Da Vinci, Mozart and Einstein received great inspiration and insight in this way. A moderate trance is reached when you allow an energy or living entity to temporarily share your body. It is used when you automatically in tongues or you relate experiences from other places and times such as during past life regression. This level of trance is employed by some hypnotists and trance healers. At this level of trance you may or may not remember what is happening. It feels like you are dreaming. When entering a deep trance state you do not normally remember anything. A prime example is Edgar Cayce who performed his channeling work spontaneously during deep sleep. He would induce a deep trance, fall asleep in trance, and then begin to channel. Another example is the Delphi Oracle who in a delirious trance, induced by psychoactive drugs, could channel the future in the form of prophetic visions. Soul psychology is a form of deep healing which accesses other lifetimes, realities and dimensions to create a unique healing environment. 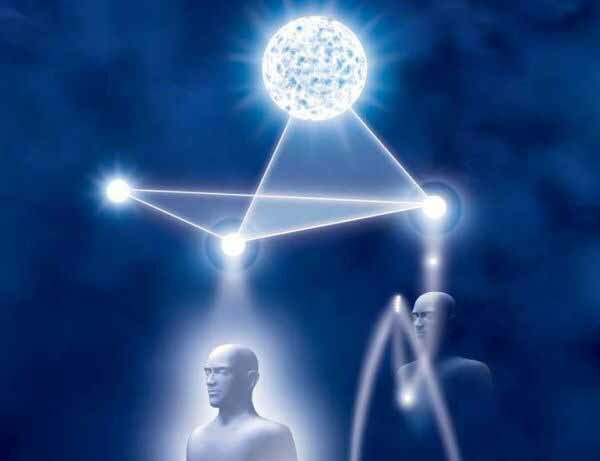 It often involves accessing information from other lives, in between lives or from higher dimensional or divine sources. The healer or channeller will go into a trance state to access information for a client. Also, you can access information for yourself to gain insight into a situation or for creative or scientific insights. The idea of resonance is employed in soul psychology. This is where the channeller or healer enters an altered state of consciousness whilst entangled with a client. The client will then also enter the same altered state. This process can also be useful for enhancing psychic abilities, especially empathy, telepathy and remote viewing. You resonate or vibrate your aura as your higher self to resonate with a client’s higher self. Your brainwaves and those of your client may match too. This provides a linked field like two parts of space being connected by a wormhole. It is very important that you work from your heart and leave your ego behind when engaging in channeling or healing. 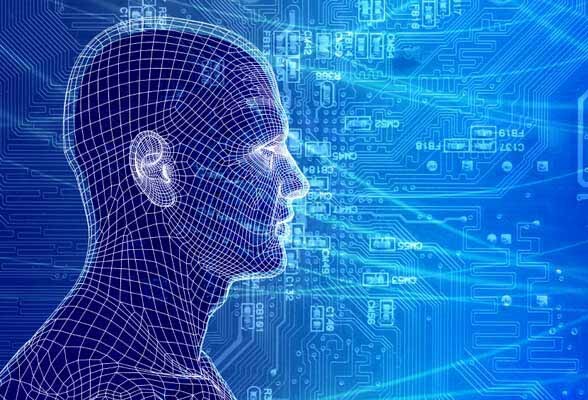 Soul psychology involves obtaining information from past life regression. Information is also obtained from guides. Between lives healing is used to process karma and also for speaking to a client’s council of elders (their higher guides and teachers). This allows clients to speak to their guides and teachers to gain information about their life lessons and what they are here to do and learn. You can also access the knowledge and wisdom of your guides and teachers through meditation or via self-hypnosis techniques. 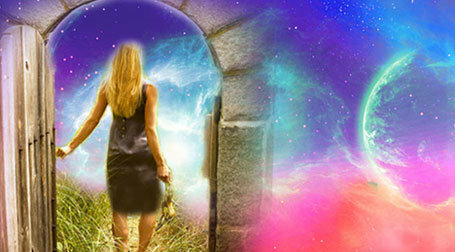 Shamans and many spiritual explorers will also journey to places such as the Egyptian mystery schools, the Arcturian healing chambers, or walk in the shoes of another life and fully experiencing it as if it is real. You feel what you channel is from beyond you. It feels like the energy is bursting through you rather than creating it yourself. You are totally relaxed and let it flow and weave its magic. You feel physically, emotionally and mentally energized. When you are one with your true ‘higher’ you feel energy flowing through you and fly through life with more energy and passion. You feel tired after channeling. Your body and nervous system may feel fatigued afterwards. You feel unconditional love and joy when channeling. This is like finding and living your true purpose when your feel alive, in the moment, and complete. You lose track of time. You are immersed in the present moment and your perception of time changes. You receive great feedback. Others recognize your genius and become mesmerized by it. They are attracted to you and what you do because they feel a special energy emanating from you. You feel need to move. This is because the energy of spirit is so powerful that the body feels it has to move for the energy to flow. Channeling is often stronger when active, exercising, dancing, being creative, walking in nature, meditating, and when focusing with you heart not your logical mind. You can quickly access the higher dimensions by linking your conscious state to an earlier state of deep meditation. Dropping straight into trance is like dropping into your heart. Trance is useful when reviewing or healing energy fields, working with light codes, doing psychic readings, and for divination. Channeling happens in a variety of ways. Automatic writing and drawing happens when the channeller stops thinking, slows down their breathing, and drops down into their heart and meditates. 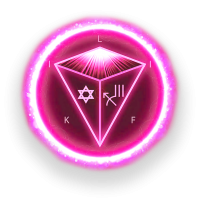 They let the universe decide, in the aspect of the beings or energies they connect to, to deliver appropriate information or healing in response to their intent. Anyone with an open mind and unlimited perception can channel angels, Archangels, extra-terrestrial beings, ascended masters, Gods, mythical beings, and just about any sentient energy that agrees to be channeled. Psychic mediums use channeling from spiritual and divine sources. They may speak in tongues or relate events in detail about a client’s past life. Martial artists and magicians channel energy directly to experience flow or harness it according to their intention. Hypnotherapists induce a deep trance in their clients so they can allow another aspect of themselves through, or to process previous traumatic events. 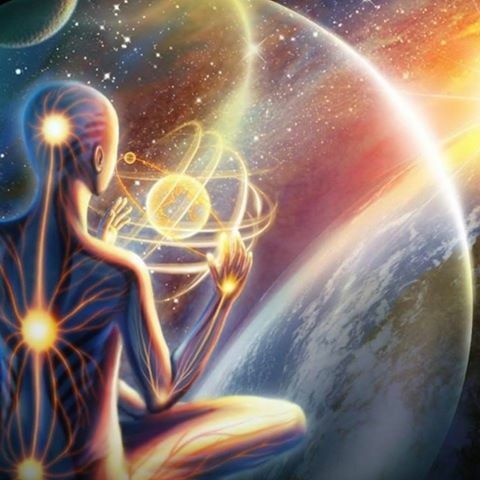 Meditation and a quiet space can aid in the connection with your higher self and also with living beings in other realms or dimensions. Many connect during meditation and others are able to reach out through a day dream style, contemplation or affirmations. Create a space that is relaxing and calm. Be aware of your body and its sensations, listen to your inner voice and remain open to the possibilities. This allows access from your guides and loved ones. You want to open a new channel for them. An inner listening with your heart and tuning into their energy will greatly facilitates communication. Give them the permission to guide you in a way that leads to clearer more consistent messages and insights. Be prepared for images, colour, words, light language, and energy shifts. Your body may experience sensations such as warmth, tingling, and increase in blood flow and increased energy perception. Relaxation and a sense of calm and acceptance will be the signs that you are in the presence of your loved ones, guides, angels and masters. Enjoy the experience and come away feeling balanced and loved. When you channel for a client or conduct a healing for them it is useful to work with the guides and teachers of your client and as well as your own. Before the session begins ask the client to provide permission for you to access their guides. 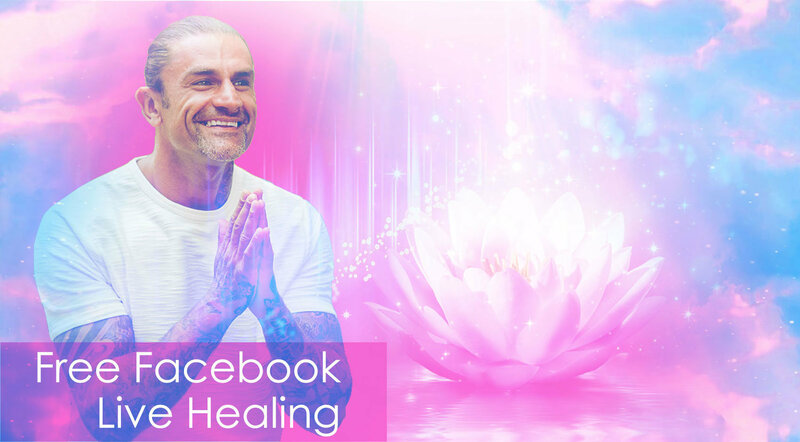 This allows you to connect with your spiritual guides and the clients guides too. This brings forth higher energies, accurate information, and may accelerate the healing process. Star magic comes from the stars across the dimensions. 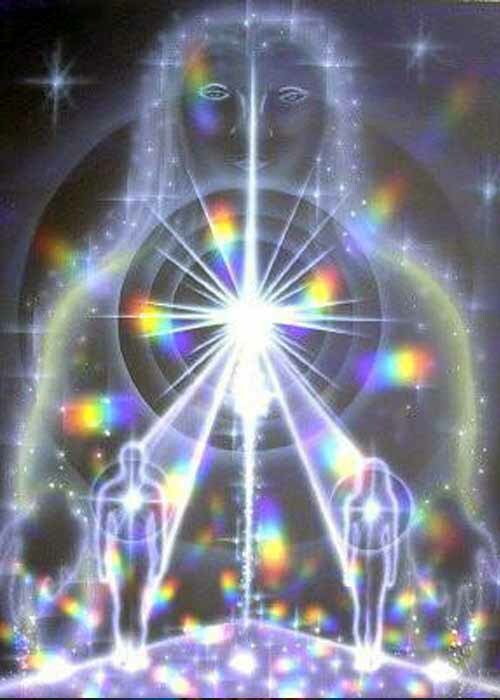 Star magic incorporates many powerful forms of divine healing from highly evolved ascended beings of light and love. The function of a facilitator is to act as a vessel for the healing information to flow through and into the client. 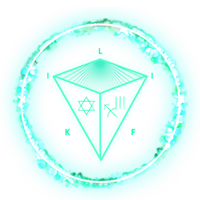 This happens through entanglement and by comparing your client’s holographic blueprint with their divine master blueprint. Rediscover your wholeness with a healing session today. I love you with my heart, with my soul, with every fibre of my entire being. Together we can make this world a much more harmonious place.